Here are some examples from the many testimonials we have received from our customers. If you would like to add your comments please complete the Testimonial Form below. Many thanks. After buying a house in Whitchurch, I contacted Pete at PMB Landscapes to discuss some work that was required on the garden and he visited my house to assess the site and plan how to solve the problems. 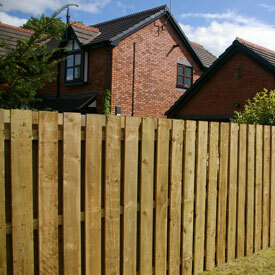 PMB Landscapes fenced my garden and fixed an existing patio that was causing problems. The new chainlink fence blends so well into the hedge that it is almost invisible, yet keeps the dog in - just what I wanted. 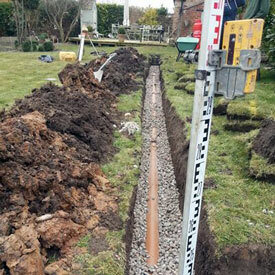 The existing patio had been built too close to the house walls, compromising the damp course, so PMB Landscapes dug it out and filled the trench with gravel to expose the damp course of the house and previously covered airbricks and thus protect the walls of the house. The finished work looks smart and does what was needed. 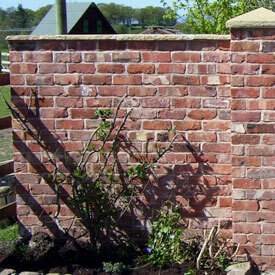 PMB Landscapes has a good team of skilled staff (fencers, bricklayers etc) and Ben was on the job every day to ensure the job ran smoothly and provide continuity of contact. The men were pleasant, friendly and worked very hard. I would recommend PMB Landscapes for all garden services. 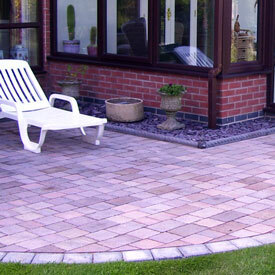 We are really pleased with the patio and were so impressed with the professionalism of your team throughout the build. Their attention to detail was excellent and a refreshing change! Please pass on our thanks. We won't hesitate to recommend you to our friends and family. Thanks for a great job - much appreciated and it looks excellent! 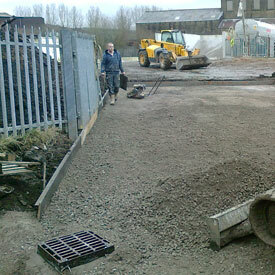 Just wanted to let you know that we are delighted with the work so far. Also what an excellent team of lads you have - without exception they are hard working, professional, polite and extremely helpful. Fantastic attention to detail. Really cannot fault them. They do you and your business a great credit. 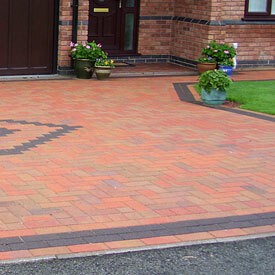 Following much consideration as to what to do about our worn-out driveway, we decided to go for a block paving solution. This work was carried out by PMB Landscapes. From the outset, Peter and his brother worked conscientiously and with every attention to detail. We are delighted with the new drive which has transformed our property for the better. Peter is a hard working, amenable and smart young man, very pleasant to speak with and is extremely helpful in every way. 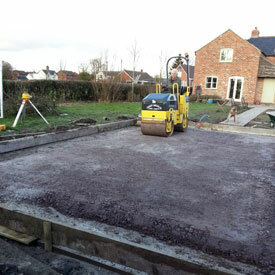 We would heartily recommend PMB Landscapes to anyone contemplating this sort of work to their property. Pete and his brother came to my property to remove a very old and worn out gate and fence. This they did very quickly and efficiently. They then replaced the old fence and gate with a custom made one that they constructed on site. This was done very quickly with the minimum amount of fuss and disturbance. The new fence is solidly built and well constructed. There was a slight issue with the hanging of the gate, which needed to be rectified. When this was mentioned to Pete he promised to return at the earliest opportunity to rectify. This he did and shows not only his dedication and craftsmanship but his superb customer service too. I would have no hesitation in recommending Pete's services in future. John & I would personally like to thank you and your team for the excellent reconstruction work you carried out on our terrace. It has been much admired and we look forward to you carrying out further work for us in the Spring. We would have no hesitation in recommending you and your first class team. 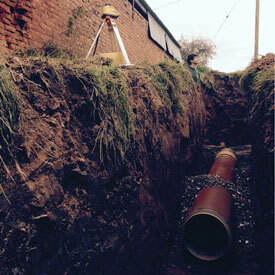 We are extremely pleased with the work you have previously carried out for us, which is why we asked you to reconstruct the patio and boundary wall at the back of our property. The planning and the construction has exceeded our expectations and has given us an extra outdoor space. We would like to thank you all at PMB Landscapes for all your hard work and effort to finish our patio to such a high standard and we would not hesitate to ask you to help us carry out further projects in the near future. As promised, a few "before and after" photos of our garden. I have enclosed a couple from when we first moved here two years ago so you can see the difference from the start. We are very pleased with all the work you have done for us. You made sure all work was completed to a high standard and offered your advice and opinions to get the best result. I would be very happy to recommend you to future customers and you are welcome to show them you work here if you would like to . Best wishes and thanks again. "outstanding quality and attention to detail..................would have no hesitation in recommending them to anyone!" "completed the work on time and to a very high standard, something which is very rare these days." "very good workmanship with a minimum of fuss............highly commendable"
"first class job............................completed the job on time and within budget.........so good we have booked them again for another project!